Make sure to install this app on your devices. If you don't see the app yet, don't worry that roll-out will be happening in phased manner and should reach you soon. 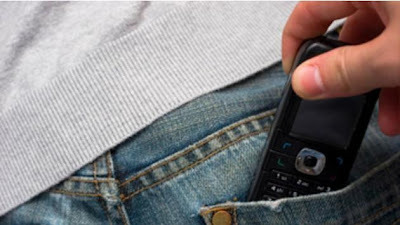 The mobile theft in India has been on a rise and given the fact that more and more swanky phones are arriving in the market, these numbers are only bound to increase. Over the past few days we have had several of our readers ask us about ways in which they can track their stolen or lost phones. First of the bat always remember to write your IMEI number ( more details below) and download apps that help you track your phone via either sending you pictures of the pick-pocketer or tracking your phone's GPS. It is also important to have a remote wiping facility so that your personal details don't fall into the wrong hands. Know Your Mobile India bring you the best apps that increase your chances at finding your lost or stolen phone or tablet. Every smartphone has a unique IMEI number assigned to it and you can access it by dialing *#06#. Once your phone's 15-digit IMEI number is displayed, write it down and keep it safe for future reference. You can also retrieve the IMEI number by removing the battery. It is usually listed on a white sticker along with the phone's serial number. This free invisible security app brings twin security measures for your handset by providing - a mobile antivirus and mobile tracking/controls solution. What is great about the app is that its anti-theft component is invisible to thieves, and provides remote options (via web portal or SMS commands) for locating and recovering your phone. Time to say goodbye to 'lost' phones. This is another handy app to track your stolen or lost phone. This app checks when the pick-pocketer changes the SIM card and sends a a SMS in 5 minutes from the new SIM number to your number, which has been stored in the application. The SIM contains GPS location data or current location code to aid in trace. This one is our favorite. With Thief tracker app, you get to catch the 'thief' red handed. Any unsuccessful attempt to unlock your mobile will trigger this app to snap a picture from front camera and send you an email without the user even knowing it. However the app has some limitations - like it does not wipe data and an unsuccessful attempt is considered only when 4 dots in the pattern are selected. This software also clicks the pictures of the 'thief' - in fact three of them and, immediately e-mails it to you. It also comes equipped with a GPS continuous tracking system which is linked to the google map and also assists in tracing your lost or stolen phone. You will love this app. Simply activate the alarm and leave your phone on the table or wherever and if someone moves your phone an alarm will sound. The alarm will only stop after entering a PIN. Those with sticky fingers, beware! Another popular app that provides anti-theft defense, allowing you to block, wipe or find your missing phone. You can also easily filter unwanted SMS texts and calls. Plus, Anti-Virus Lite with cloud-based security scanner alerts you to potentially malicious apps before they can harm your phone. This free app houses a slew of features to protect and trace your phone. After downloading the app, you will be able to find your phone on a Google Map instantly from Lookout.com, sound a loud alarm or make your phone SCREAM to find it even if it’s on silent and automatically see your phone's last known location. That's not all, in addition this app provides remotely lock and date wipe out facility. It also offers a lookout premium coverage for a small monthly fee for more stringent security. --Lost Device Protection includes anti-theft features that let you find, lock and wipe a missing device. Well if plan A doesn't work, you don't need to fear, there is always Plan B. This 'find my phone' app is the only app that you can download even after you have lost your phone. Using 'Plan B' requires access to the Android Market website and your Google account. After you install it, Plan B will start locating your phone using cell towers and GPS. On some phones, Plan B can switch GPS on automatically. Your location will keep updating for 10 minutes, and you will get an email each time it is located, whether the phone is moving or standing still. Information is also sent via SMS.